Note: This list isn’t in an order of preference; it’s a compilation of the best Android Office apps. You’re advised to choose one as per your need. Formerly known as Kingsoft office, WPS Office is an acronym for Writer, Presentation, and Spreadsheets. It is one of the best Android office apps that supports all the necessary features of Microsoft Office needed in mobile. 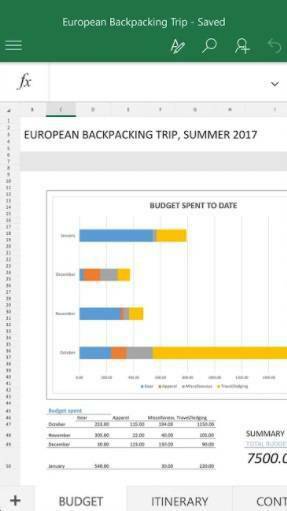 The app comes with a clean and easy to use interface where you can create Presentation, Excel sheets, PDFs or complex MS-word like documents. 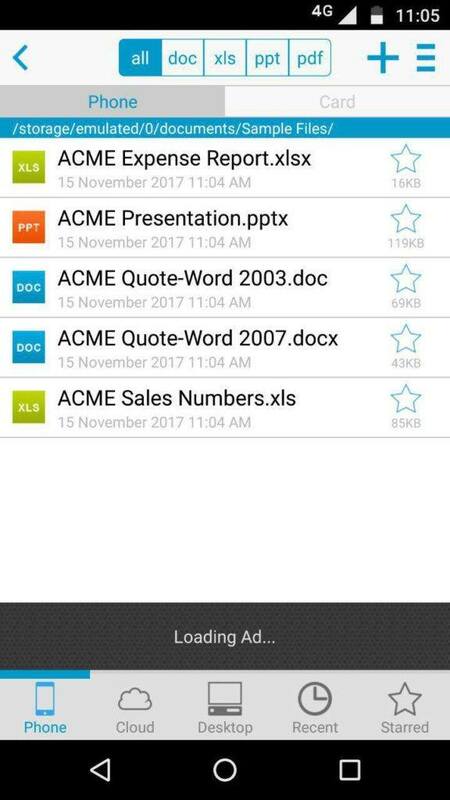 This Microsoft Office alternative for mobile has over forty languages, integrates with EverNote and supports wireless printing. It can open documents from many local sources and access and save files to other cloud storage providers. Moreover, it also assists document encryption to associate a password with docs. The only disadvantageous thing about the app is that it comes with ads and there is no way to pay your way out of seeing those adverts. However, other than this, the app is available for free and is a necessary Android office app. 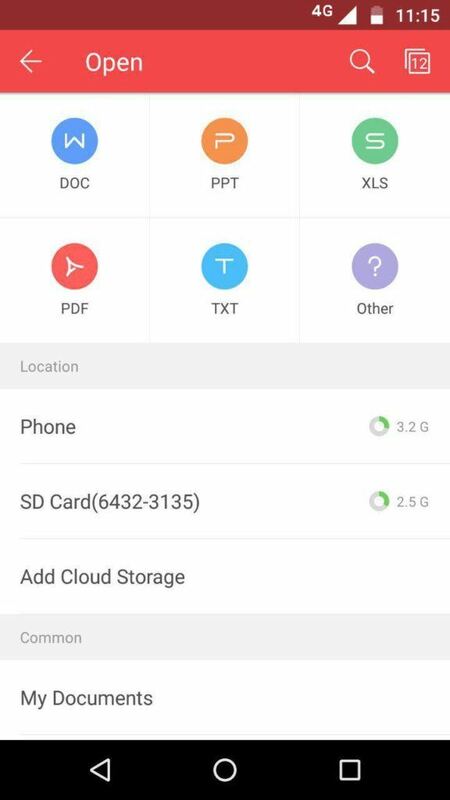 Download WPS Office from Play Store here. 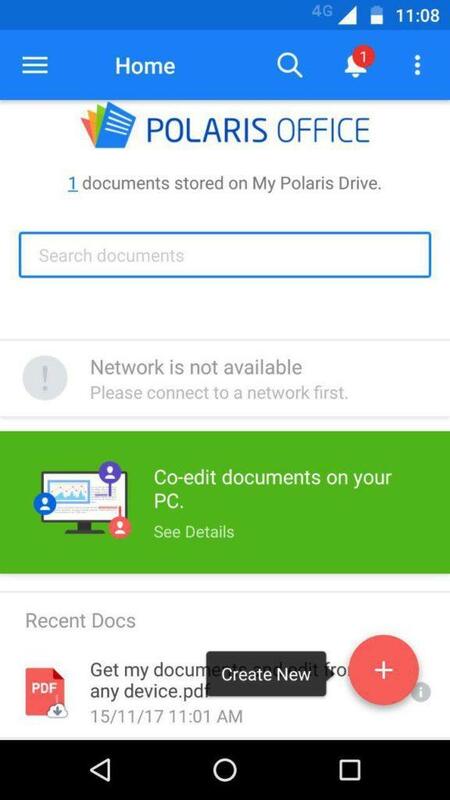 Polaris Office + PDF is an excellent free Android office app with an all-in-one feature to view, edit, share, and archive all types of documents anytime and anywhere. It is capable of editing Microsoft Office file formats (DOC/DOCX, HWP, PPT/PPTX, TEXT, XLS/XLSX) and viewing PDF files. You can also cast documents, presentation, spreadsheets to a Chromecast from this app. Moreover, Polaris allows users to open a document in a compressed Zip file without extracting the archive. It has a program that allows uploading and downloading documents from a desktop computer to a mobile device. The app supports over 15 languages and is an excellent alternative for the other major office apps. Click here to download Polaris Office. 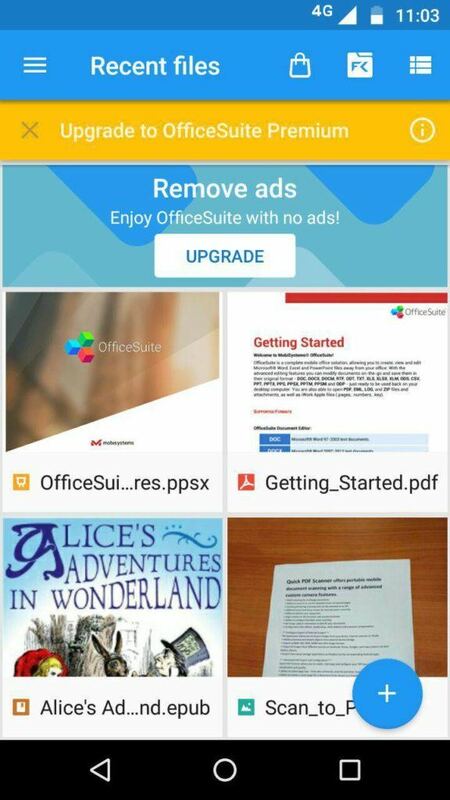 OfficeSuite is more than just an office app. 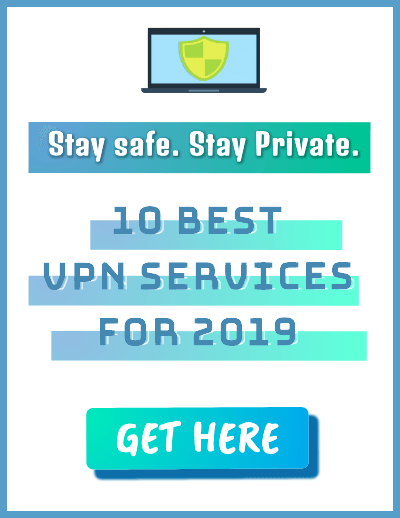 It opens all the major file types from local, and network location including cloud services and even comes with a sign-in feature that syncs with all your devices. OfficeSuite is compatible with Microsoft Word, Excel, PowerPoint documents, and Adobe PDF files. It supports all basic Microsoft formats (DOC, DOCX, DOCM, XLS, XLSX, XLSM, PPT, PPTX, PPS, PPSX, PPTM, PPSM) and also some additional document and office formats like RTF, TXT, ZIP and more. OfficeSuite integrates a robust file manager for advanced synchronization and quick & easy access to both local and remote files. The app is free to download, and all the essential features are available in the free version. However, the paid version comes with more advanced features. The paid version allows you to convert any files to PDF and easily scans documents and images with your camera. It is among one of the most expensive apps. Docs To Go has been around for quite some time now. It is one of the oldest and best Android office apps available in the market. It has a simple file explorer interface where you can quickly locate and open your documents. Docs To Go contains all the necessary features such as word processing, spreadsheet editing, and presentation editing. 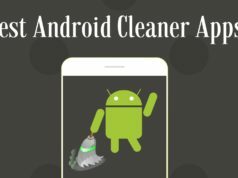 It does an excellent job of letting you do these things without much of a setup as the app requires no account sign-up to get started and provides you the freedom to save files wherever you choose. Docs To Go has a unique feature that can show you the Microsoft Office’s track changes. You can see the changes you’ve previously made to your documents. 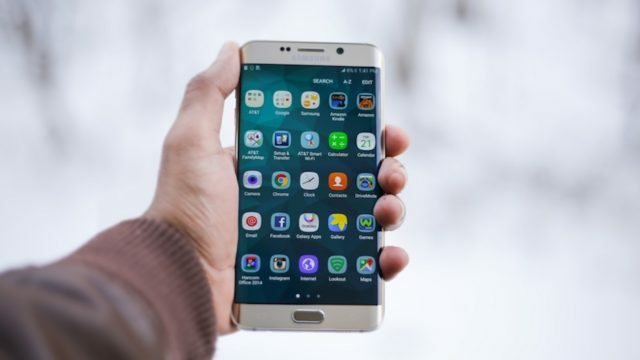 The app is free to download, but the options for desktop file sync, connecting to multiple cloud storage accounts, and opening password-protected files are available only via in-app purchases. Download Docs To Go from here. In June 2015, Microsoft released updated versions of Word, Excel, and PowerPoint for Android phones. They instantly became among the best apps that have registered 50 million downloads. These apps are present as a bundle in the “Office Hub” on Windows phones and Android phones. You can download Microsoft Word, Excel, and PowerPoint for free. They have an intuitive user interface where you can view, edit, and create documents on the go. 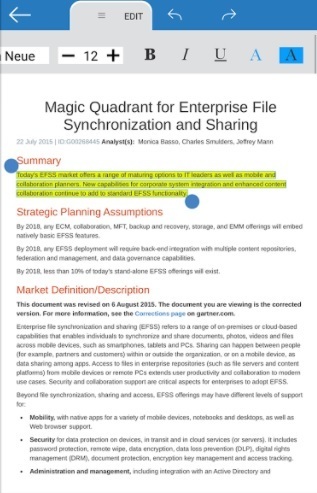 It integrates with OneDrive, Microsoft’s cloud service, and DropBox. OneDrive automatically saves all documents written by the Office Mobile programs. Also, a home screen of the Office Hub displays a list of recent documents saved to OneDrive. The Windows phone version also allows users to keep files locally on the device. 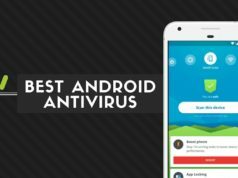 Overall, the apps are great to use, and they are worth a try. Microsoft Word Play Store link. Microsoft Excel Play Store link. Microsoft Powerpoint Play Store link. Google gives you access to all of your Word, Excel and PowerPoint documents in Google Drive. After you store a Microsoft Office file in Google Drive, you can use it in Office Compatibility Mode (OCM). OCM is included with Goole’s Docs, Sheets, and Slides apps. Drive serves as a hub. When you open any document in your Google Drive, it will automatically open the appropriate app, where you will be able to edit it. The interface of Google Drive is easy-to-use and straightforward, and the app is available for free. 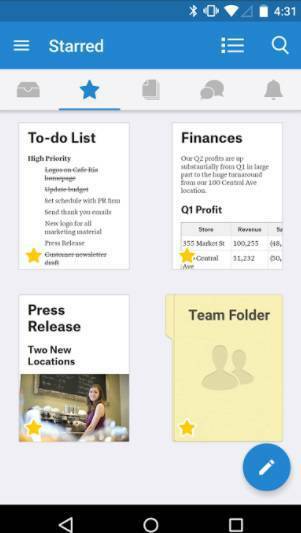 Quip is a light app that gives users the ability to collaborate with others on documents, spreadsheets, and even to-do lists. 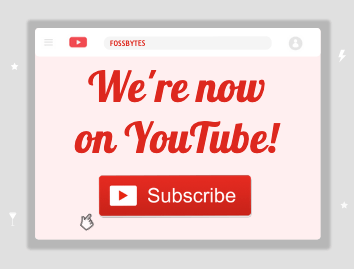 It is super easy to create any documents and invite others to make changes to it. The app can handle all types of office documents, slides, spreadsheets and supports all kind of Android devices. But, this isn’t the app to use if you want to make or edit presentations. SmartOffice is another impressive Android office app which is full-featured and easy to operate. You can create, edit, view, and share Microsoft Office documents right from your smartphone. It allows complete editing features along with rich formatting styles such as bold, italics, font color, etc. You can access files from MS word, powerpoint, spreadsheets, etc. Also, you can save your documents in original format or convert it to PDFs. The app has an intuitive and user-friendly interface. You can open and save your documents to the cloud. Moreover, you can secure your private files with password protection. It has support for over 35 different languages. And, the best part about the app is that is free with no ads or in-app purchases. 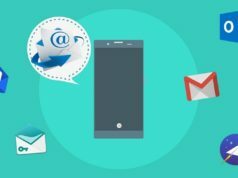 Did you find this list of best Android office apps to be helpful? Share your reviews in the comments below.